Most industries have associations and organisations that provide benefits to its members through networking, education, training, public advocacy and general professional development. Art Therapy Associations can benefit Art Therapists with these same benefits, along with other psychology associations. Below is a list of 10 association/organisations in alphabetical order. Only a few are specifically related to the field of Art Therapy, however, others relate to psychology and counselling which form the basis of an Art Therapists skillset. 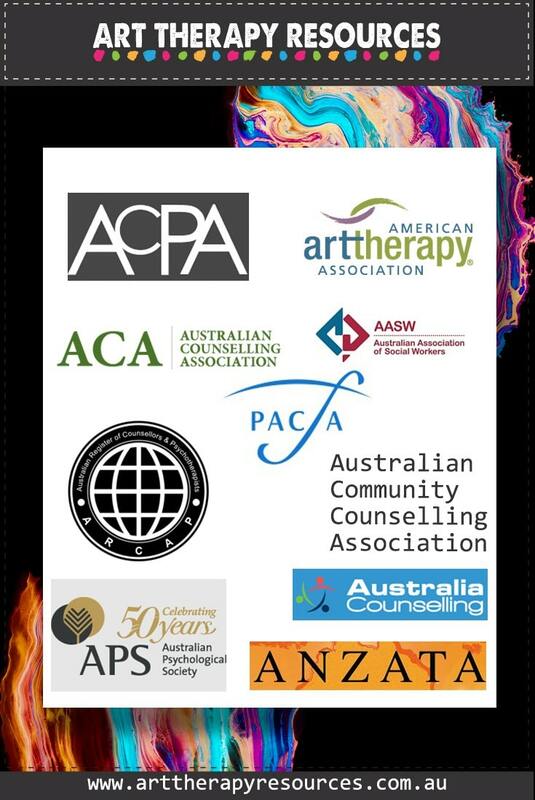 The list is Australian based, with the exception of the American Art Therapy Association which also provides benefits for international members. Guidance on establishing a career path. Educational requirements to become a professional. Guidance on the profession’s standards of practice. Updates on development in the profession and changes in practice affected by legislation. Continuing education in person or online. Provides an avenue to be involved in the direction of your profession. May provide research or presentation opportunities that you are interested in. Free advice on ethical issues. Build relationships with other therapists. Develop mentor and mentee relationships. Establish working relationships for collaboration on projects. Structured fee system based on your level of membership, eg. Student, fellow, standard. Free resources to use in establishing your therapy practice policies. Free directory listing to advertise your business to consumers. Liability insurance at a discounted rate. Promote and advocate for your profession. Increase awareness of your profession and the services it offers in the community. You can download a summary of this post in this Evernote document. You can save this note to your own Evernote account for future reference. If you don’t have an Evernote account, you can still view the Evernote document even if you do not use Evernote. SUBSCRIBE BY EMAIL TO RECEIVE MORE USEFUL INFORMATION AND RESOURCES! We regularly release new templates, plans, exercises and tools to help you run your Art Therapy business.